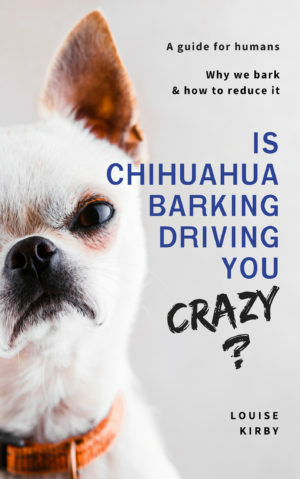 Why are chihuahuas more susceptible to sunburn than big dogs? Yes dogs do get sunburned, and did you know that your chihuahua is more susceptible to sunburn that a large dog? It feels like it should be the other way around. The reason is reflected sunlight from the ground. Chihuahuas and other short-legged dog’s bellies are nearer to the ground and therefore they are more likely to get a sunburnt tummy. Chihuahuas love to sit in the sun and soak up the rays. I have just called my two in from the garden. As well as their tummy, sunburn in dogs can show up on their ears and nose, any area that shows up as pink if your chihuahua is white or fair. Sunburn in dogs will manifest itself in the same way it does in people. Their skin will be pink and tender to touch. If your chi is badly affected he may also have a fever, blistering and ultimately skin cancer. Should I Put Sunblock on My Chihuahua? The answer is yes, if they are going to be out in the sun for any length of time then, like you would your children, you need to apply sunblock to your dog. Do a patch test to check he is not allergic, apply it to exposed areas only, ears, nose, tummy and any area that fur is missing. Avoid his eyes. You should be able to get a good sunblock from your pet shop. I know Pets corner sell one. If it is in a spray then put it one your hands and rub it in. The sound of the aerosol is likely to scare them. Can I use Human Sunblock? Yes and no. It is best to use dog specific sunblock as it does not contain PABA or zinc oxide which can make your chihuahua sick. 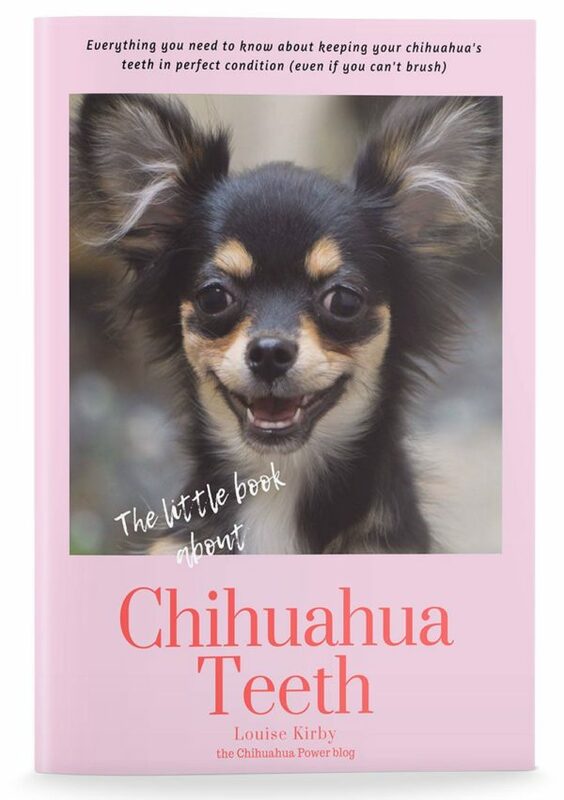 But if you are stuck and your chihuahua is not likely to lick the cream off then you could get away with using a baby sunscreen for sensitive skin. How else can I protect my dog from sunburn? Stay out of the sun between 12 and 3, this is when the sun is hottest. Keep your chihuahua indoors during this time. You also need to think about his paws. Do the bare feet test. If the ground is too hot for your bear feet then it is too hot for your chihuahua’s paws. Buy a dog sun suite. Yes, they exist! 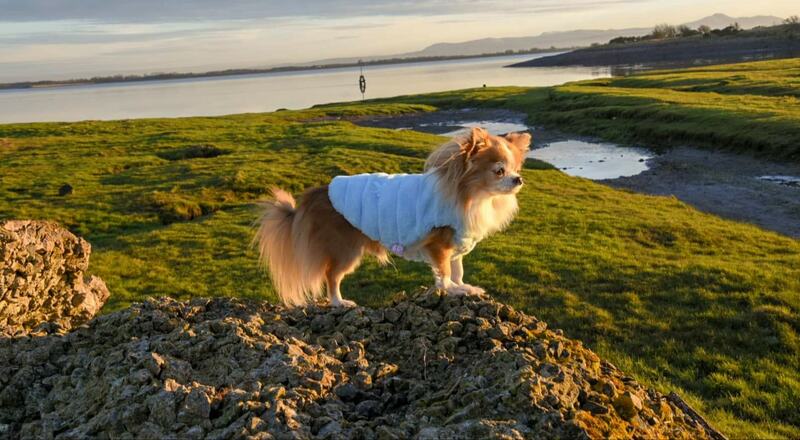 If your chihuahua is going to spend a lot of time outdoors or is a hipster surfer dog then a sun suite is the way to go. Get one that is 50+ UPF. However, it is important to make sure you buy a good one and it is genuinely going to protect your dog. Anything with ‘fashion’ in the title ignore. 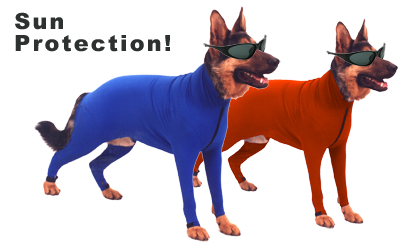 Similarly, your dog’s eyes will need the same protection as yours and dog sunglasses are also available and getting popular. Suites like this exist to protect your dog from sunburn. If your dog does get sunburnt you can treat mild cases with aloe Vera gel or a dog balm such as Herbal & Health SuperSoothe. 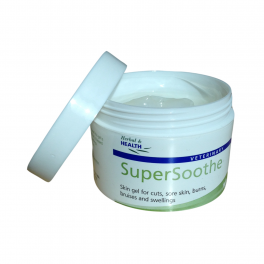 This is a nice gel for cut and burns. We use this on our dogs. You can buy it from Pets Corner . However if your dog is severely sunburnt then he needs to go to the vet ASAP. We love your feedback if you have any advice about sunburn in dogs we would love to feature it. Please leave comments below. Previous Post The Merle Chihuahua. Why the controversy? Next Post 7 Reasons Coconut Oil is Super Good for your Chihuahua.